So that title sounds a bit morbid, but it’s actually just referring to the fact that this week the theme is tear drops/rain drops. Which is really just an extension of last week’s craft… (clouds). 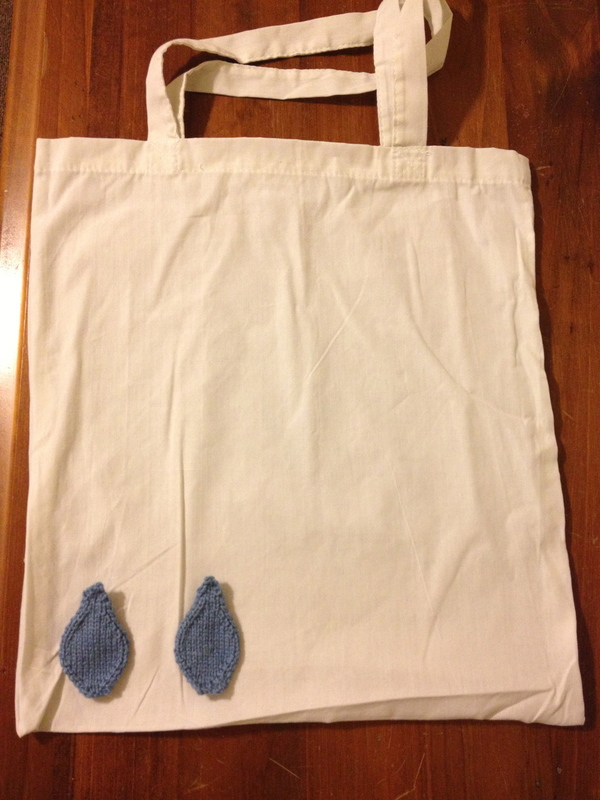 Tonight, the designated craft was to paint tear drops onto a canvas bag with fabric paint. But me and fabric paint are not friends. 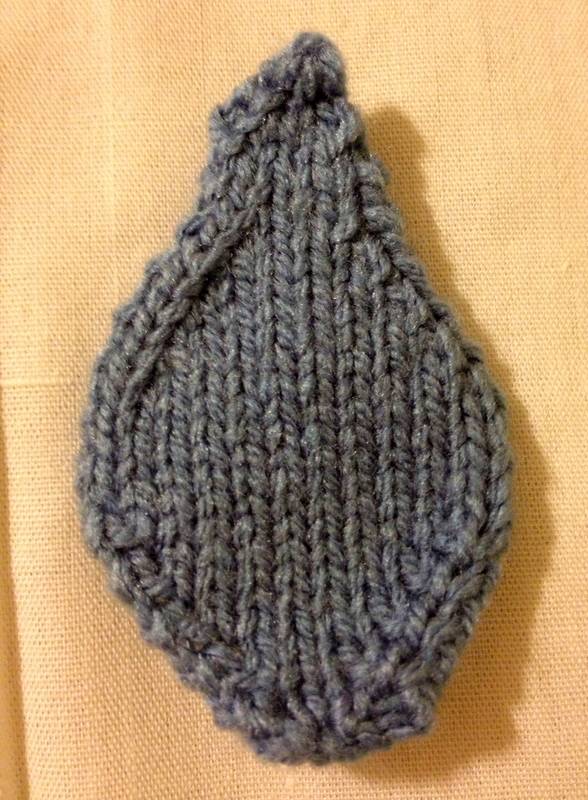 So I decided to knit some tear drops instead! I only made two in the end, because I spent quite a while creating a pattern, doing some knitting, and then re-creating the pattern a couple more times till I was happy with the result. I’ll write up the pattern and post it on my knitting blog ‘A Slip And A Stitch’ some time soon!